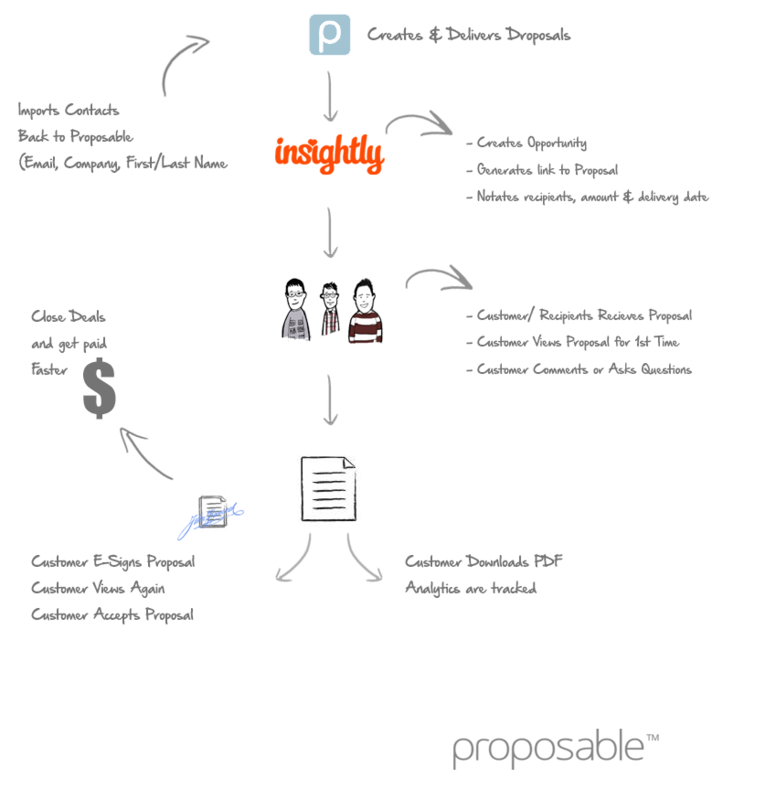 Here at Proposable, we are very particular about which products we partner with and this is why we handpicked Insightly as one of our preferred integrations. For those of you who don’t know, Insightly is a powerful and user-friendly small and mid-sized business CRM that helps thousands of businesses manage their contacts and sales workflow. Here's a visual graph to show how this integration works.